Ravenscourt Guest House is a comfortable and welcoming family-run, 8-bedroom Guest House/Bed and Breakfast. The house was stonebuilt as a manse in the late 1800s. 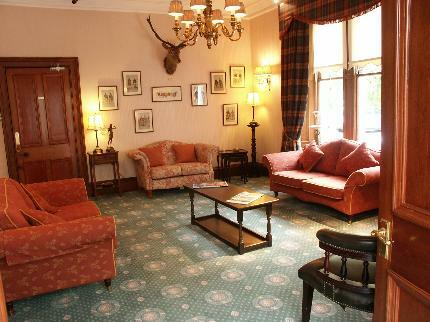 Situated just two minutes’ walk from the centre of Grantown-on-Spey, the guest house has two welcoming lounges, a bar serving fine malt whiskies. If you are looking for a comfortable, quiet and peaceful Bed and Breakfast in the Highlands, then Ravenscourt Guest House is the ideal location. Once a hotel with restaurant, Ravenscourt Guest House retains the sumptuous style of hotel accommodation, with the warmth and welcome of a guest house. We are on the northern edge of the Cairngorms National Park, one of the most beautiful areas in Scotland and right on the Whisky and Castle trails. Inverness, Aviemore, Loch Ness and many other stunning locations are easily accessible from Ravenscourt Guest House and Bed and Breakfast in Grantown-on-Spey.